Hey Sellers. Hi. I know. I hear you. Yes, you maybe should have listed your home earlier this year. No, you’re probably not going to have a bidding war on your home this fall. I know, you’re right, it isn’t fair. But, that doesn’t mean your house isn’t going to sell. You just have to adjust your thinking. Now. Right now. Rising Inventory: The number of homes for sale is steadily increasing, giving buyers more options. This stabilizes pricing and we are seeing a lot of price reductions. But, price points are still pretty darn good for sellers. The market hasn’t crashed. It has just stabilized and maybe softened just a bit. The market is correcting itself after years of craziness. Those low interest rates increased buyer demand driving prices up. Now, interest rates are going up which deflates demand so prices are going to have to come down. Buyers Have Options: All of the sudden, buyers have a lot to choose from. And, they are tired, soooo tired, of competing over the few homes that have been on the market. Now they have a choice and rarely have to compete. They are taking their time to find the right house at the right price for their needs. Buyers Are Price Sensitive: Even though you may feel like you are losing money because you didn’t sell at the top of the market, prices are still kind of high for many buyers. And, interest rates are going up, reaching levels they haven’t been at in almost a decade. This is compromising the purchasing power for many buyers. And, they are being very careful with their dollars. Buyers are making low offers and asking for concessions. So what should you do as a seller to stand out in this shifting market? Price your home realistically! 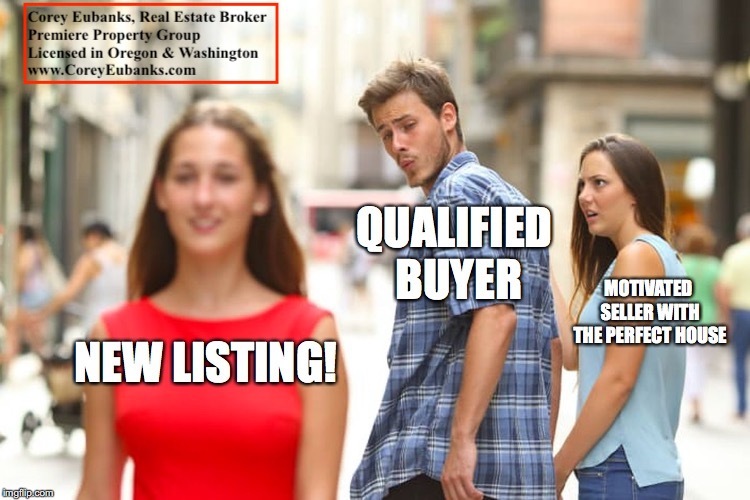 There are still homes that sell in the first weekend (most of my listings, in fact) and some still get small bidding wars. These homes are priced realistically to attract buyers and reflect the current market (as opposed to the seller’s wishes). Drop the phrase “leave money on the table” from your vocabulary. If you are pricing your home above the market, anticipating lower offers to negotiate with (because you don’t want to “leave money on the table”) you will end up doing price reductions and chasing the market downwards. This weakens your negotiation power and practically guarantees that you will indeed leave money on the table. Today’s buyers understand pricing and negotiation, and they have too many other homes to choose from. It is easy for them to pass on overpriced homes listed by stubborn sellers. Don’t skimp on marketing. You simply must have top-notch photos (like my listings do), plus great narrative descriptions and statistical information on your home. Make the home so tempting that buyers have to see it in person. Most importantly, great marketing enhances the sense of value that buyers will feel about the home. Get creative. Offer some closing costs up front, or cover a few months of HOA fees. Throw in a home warranty (which may also cover some repair costs, should anything come up in the buyer’s inspections). Try a slightly higher buyer agent commission to draw those agents who are motivated by money (most of them!). Have the home pre-inspected and get those repairs done before hitting the market. Finally, the number one best thing you can do to sell your home: have me as your listing agent!